Why is Kanpithak Patchimsawat still allowed to drive? Submitted by peter on 20 October, 2007 - 12:28. 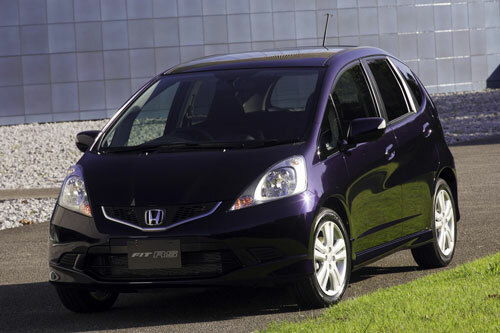 The 2008 Fit will be hitting the streets in Japan on Friday, 26th October, and in the build up Honda have made an official release. The Fit is re-badged as Jazz for the Thai market, as well as other global markets outside Japan, but the car is otherwise virtually identical, apart from minor trim details. 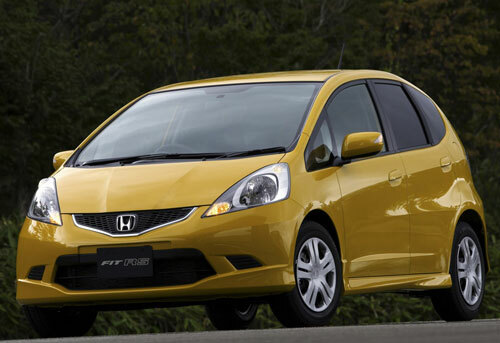 So, looking at the 2008 Fit, we now know what we can look forward to when the 2008 Jazz finally comes to Thailand. Back when info started to leak out we had a look at the 2008 Jazz. 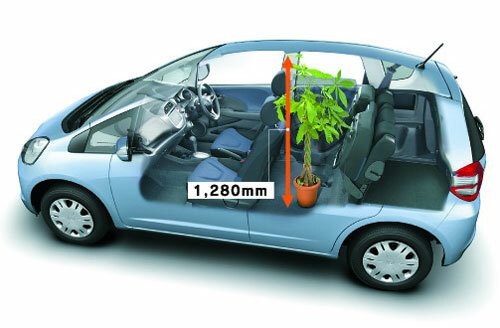 Now that information is official we will try to give you as detailed as possible a preview of the 2008 Honda Jazz, including higher quality pictures. Next year! Honda Thailand are busy preparing for the upcoming launch of the all-new 2008 Accord, due next month, so it is very unlikely that we will see the Jazz this year. My guess would be that the Jazz will be launched in February or March, in time for the 2008 Bangkok International Motor Show. Honda sales folks claim that the new Jazz is a long way off, and that the current one is still selling strong. Now I could be wrong, but it seems more likely that the Jazz will come to Thailand in the first quarter of 2008, since Thailand is a production hub for the Jazz, and it is important for production and sales to be established in Thailand sooner rather than later. Regardless of when the launch is going to happen, unless you are desperate to buy a Jazz right now, it would probably be wise to wait for it. Automakers like to increase the dimensions with each model update. I suppose it gives them something to write about in their press releases, makes it look like there is added value due to the increase in interior space and safety. Not really a surprise to know that the 2nd generation Jazz is bigger than the current model, but is this necessarily a good thing? Parking spaces aren't getting any bigger, and as more and more cars clutter up the road space every day it becomes an increasingly frustrating task to maneuver around the city. 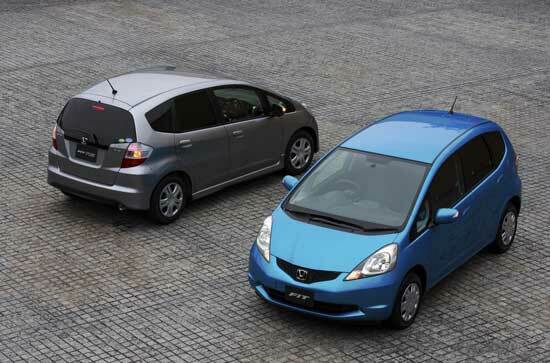 The popularity of the Jazz, Yaris, and other small cars is not only down to the price advantage. City cars are just very practical for city use. The 2nd Generation Jazz (Jazz II) is 3,900 mm long, 1,695 mm wide, and 1,525 mm tall. This makes it 55 mm longer and 20 mm wider than the Jazz I, without any increase in height. The wheelbase has been increased by 50 mm, which will translate into more cabin space, while a wider track will also allow the car to have a turning radius of 4.7 m, identical to the previous model. Most cars also take on extra weight inline with the extra bulk, which has been attributed to increased equipment and safety spec, but the good news is that the Jazz II isn't heavier, although it is bigger and safer. Why is this good news? Well, weight has a big impact on fuel performance. And the Jazz II remains small on the outside, and big on the inside, due to very clever packaging. The Jazz has been a global success for Honda, and sells in 118 countries! Part of its appeal is the very clever seating system that allows for a high level of flexibility. This is carried over to the Jazz II virtually unchanged. This is actually a good thing too, since the current Jazz is still class leading in terms of interior space, and utility. A notable improvement in the new Jazz is that the rear headrests now slide down into the backrests, allowing the rear seats to be folded flat without moving the front driver or passenger seats out of the way first. Although this is a reasonably easy task with the current Jazz, it will now be even easier. The rear seats still fold in a 60/40 split as before. 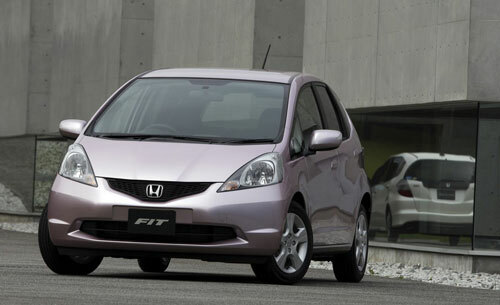 The Japanese Fit offers two engine options, the most interesting being the high revving 1.3 litre i-VTEC. This is a newly developed engine that employes drive-by-wire, and "enhanced intake performance" which allows it to produce around 100 hp. The engine also allows for only one of the two intake valves (per cylinder) to be used while the engine is at low RPMs in order to save fuel. This combination allows it to achieve around 24 km/l (according to Honda). We probably won't see that engine in Thailand, but why not? Honda are probably going to drop the i-DSI from the range, and if they do, then this engine would be a nice replacement, offering more performance, and better fuel economy. The other Japanese engine is the 1.5 litre i-VTEC, which is also a new development of the current i-VTEC unit used in Thailand. The new engine offers up around 120 hp, an increase of 10 hp from the current model, and due to improvements in efficiency 19 km/l is the claimed efficiency. It is possible that the Thai Jazz will get the new 1.5 i-VTEC, but it is also possible that it will retain the old engine. Only time will tell. Personally I think the 1.3 would be the better choice, as the Jazz is primarily a city car. In Japan, both engines are paired up with an improved CVT (continuously variable transmission) system. Honda claim that this transmission will improve drive and off-the-line acceleration thanks to the implementation of a new torque converter. The CVT also offers higher gear ratios which should also help improve fuel economy by keeping revs low during cruising. So will we see this transmission in Thailand? Maybe not. There is talk of problems with the current CVT in Thailand, and although this system has many advantages, and the 7-speed mode is a lot of fun, it is possible that Honda Thailand will opt for a standard 5-speed auto box, perhaps lifted from the Civic. I hope that the CVT remains an option. From the outside the 2008 Jazz is similar enough to the current generation car that it will be immediately recognizable as a Jazz. The interior, on the other hand, is quite a step. Door trims are strangely familiar, despite being new, but it is the dash that is the most dramatically changed, and depending on your taste you might not consider it an improvement. But although on first impression the style looks a little on the busy side, with various styles of meters, and vents splattered around, the overall effect is fresh. 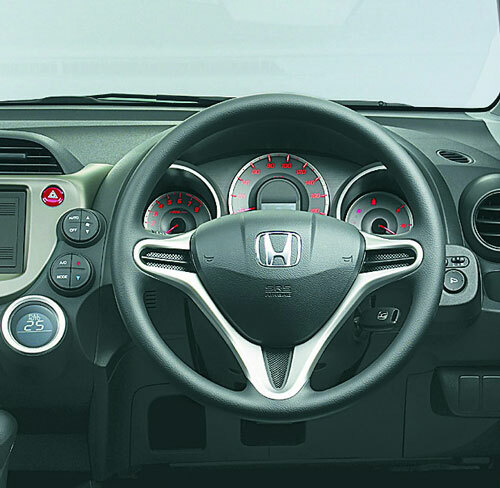 Some of the design is similar to the Civic, including the steering wheel, and gear knob, speaker covers, and some of the switch gear. But where the Civic looks cool, the Jazz looks like it's trying to copy its cool big brother, but can't quite pull it off. Having said that it will be a comfortable place to be in this price range. The large three-meter cluster provides superior visibility with permanent illumination. The speedometer, located in the center of the cluster, features a large LED display providing of a broad range of information, including current fuel economy and range indications. These features might be dropped from the Thai model to save costs, but let's hope not. 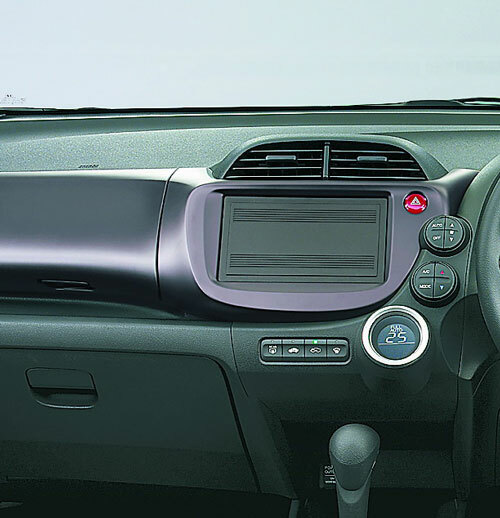 In the current Jazz the steering column can tilt, but the Jazz two includes a tilt and telescopic steering column, and the driver seat is now height adjustable with a ratchet-operated system. This is good news for everybody as it will now be possible to find a more comfortable driving position. According to Honda, the front seat is based on the seat frame of a middle-class sedan (Civic?) and fitted with springs and padding optimized for seat hold and ride comfort. The rear seats are 20 mm wider, 15 mm deeper, and have cushions 10 mm thicker for enhanced ride comfort. This is all good news. Yes! Even if we don't see all the improvements carry over from the Japanese Fit, the Jazz II will be a big step forward. Improvements in chassis rigidity, safety, and comfort will all be notable. The Yaris is currently no match for the Jazz, which offers more space (Yaris is particularly poor when it comes to load space) better engine, smoother ride, and better dynamics than the Yaris. If Honda can keep the pricing down, perhaps by offering the 1.3 i-VTEC in the lower end, then it should be a winner. The small car segment is due to get interesting though, and Honda and Toyota are going to find things less convenient in the coming years. Mazda 2, Proton Savvy, and a perhaps a Chery or two, will all be added to the mix soon, as well as a Chevrolet Aveo hatchback. The Jazz will still be hard to beat, as long as the pricing can be competitive.